Good book with great recipes the whole family will enjoy. Can’t have Mr Men without Little Miss. Great value and easy to store! Excellent quality. Fantastic service. Delivered quickly. 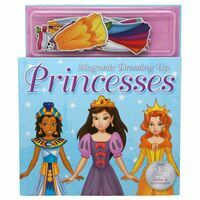 Beautiful collection, I bought this for my 8 year old granddaughter & she loved them!! Absolutely wonderful to have all of Ronald Dahl's Children's Books reprinted with their original illustrations complied in one set - and for such a fantastic price! The purchase and delivery were without a hitch. I'd recommend MyDeal.com.au to all customers. Great box gift set of books my daughters loves them and what a excellent price. My son loves it. Can't get a break!